The packaging on this release is horrendous. Had 4 copies and all have had multiple spine splits. I think people will be surprised that this edition is a single disc. The previously released black vinyl version was a double disc. But then that was made to be played, whereas this picture disc probably isn't. Squeezing a double album onto a single disc is obviously going to lead to a reduction in sound quality, not to mention the surface noise that's inherent in picture vinyl. Still, it's nice though. By the way, there is NO usual clear PVC inner to hold the disc, it merely slides directly into the album sleeve, though the whole thing is housed inside a flapped PVC outer cover. Curious! 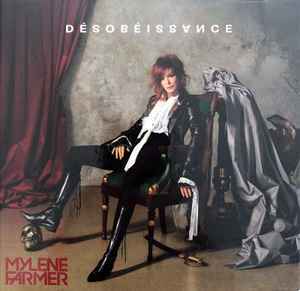 This is probably Mylene's most satisfying and accomplished album of the past decade. Her forays into song writing, sans Boutannat, have been a little hit and miss (Bleu Noir being the exception). Here, Mylene shows that perseverance pays off. Every track cries to be heard again and again, and indeed will be. Various formats to whet your appetite. This vinyl release is well done all the way. The sturdy laminated cover sleeve and inners, 45 RPM on the vinyl – respect! The modern mastering techniques that were used in the process both keep the sound dynamics and the bass energy – it is important for the nature of the music on this album. The music material itself is strong, makes you want to come back to it and have an extra listen, and then more and more.. Nice comeback, Mylene! Mention spéciale pour "On a besoin d'y croire" - "Désobéissance" - "Des larmes" - "Sentimentale" et "Parler d'avenir". La seule fausse note de ce disque : "Au lecteur". Sans aucun intérêt. Lire un poème sur quelques sons... Vraiment d'un ennui total. Et puis "Histoire de fesses" est juste une interlude entêtante de 2 minutes qui aurait pu être une chanson sympa si elle avait eu la forme d'un vrai titre. Superb album, current sounds but not too much, pretty melodies, and lyrics always as well written and researched. Special mention for "On a besoin d'y croire" - "Désobéissance" - "Des larmes" - "Sentimentale" and "Parler d'avenir". The only wrong note of this disc: "Au lecteur". Without any interest. To read a poem on some sounds ... Really of total boredom. And then "Histoires de fesses" is just a heady interlude of 2 minutes that could have been a nice song if it had had the form of a real title.